Designed for students with no prior teaching experience seeking to work as primary school teachers, this practical qualification will equip you with the skills, knowledge and experience required to thrive in the challenging and dynamic world of primary teaching. A nationally recognised course that fulfils the academic requirements for working as a primary school teacher, this course is unique for the particular emphasis it places on practical training for students. You’ll have frequent opportunities to put your new knowledge into practise with project work and teaching placements, and have to opportunity to work in private and public schools, in urban and regional areas, and with remote and isolated communities in Edith Cowan University’s 650 partner schools. In addition to building generalised teaching skills, you’ll have the opportunity to specialise your study in your final year, tailoring your learning to what most interests you. This formal specialisation also offers the opportunity to qualify to teach in Catholic schools. If you’re seeking a comprehensive, practical competitive teaching qualification that effectively links teaching theory and its impact on your teaching and your students, this course is for you. Meet ECU’s English Competency and special admission requirements (see below). Please note that School Leaver applicants will require completion of WACE or equivalent. 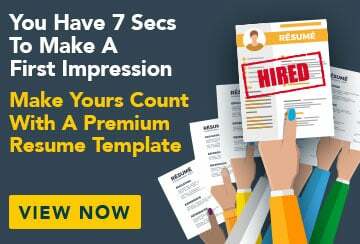 If none of the above applies to you, but you have work and life experience, you may be eligible to apply via ECU’s Experience-Based Entry Scheme. Special Admission Requirements: All applicants are required to provide a personal statement. In addition to satisfying academic entry criteria, applicants for pre-service teacher education courses at Edith Cowan University must also satisfy non-academic criteria. At Edith Cowan University, applicants' non-academic capabilities will be judged based on the submission of a 500-word personal statement. In this statement, applicants will outline why they wish to become a teacher. English Competency: International and internationally schooled applicants will require an academic IELTS with an average level of 7.5 or more, across the four components of listening, speaking, reading and writing; no score below level 7.0 in any of these components; and, a score of 8.0 or more in the components of speaking and listening. 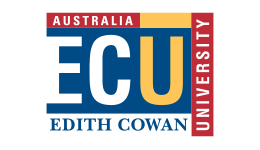 Why study with Edith Cowan University? Upon successful completion of this course, you will receive a Bachelor of Education (Primary) from Edith Cowan University. This qualification is accredited by the Teacher Registration Board of Western Australia and fulfils the academic study requirement for registration as a teacher in Western Australia. After completing this course, you'll be able to apply to work as a teacher in primary schools across the state. You'll be equipped with the knowledge, skills and experience required to thrive in the challenging and dynamic area of teaching, and help make a difference in the lives of young learners. Fees may be paid upfront, or deferred for eligible students through the Australian government's HECS-HELP loan program.